WELOME TO 1500 SAMUELS RD. IN COX'S CREEK - THIS GORGEOUS COUNTRY SETTING IS THE PERFECT PLACE TO FIND PEACE & TRANQUILITY! 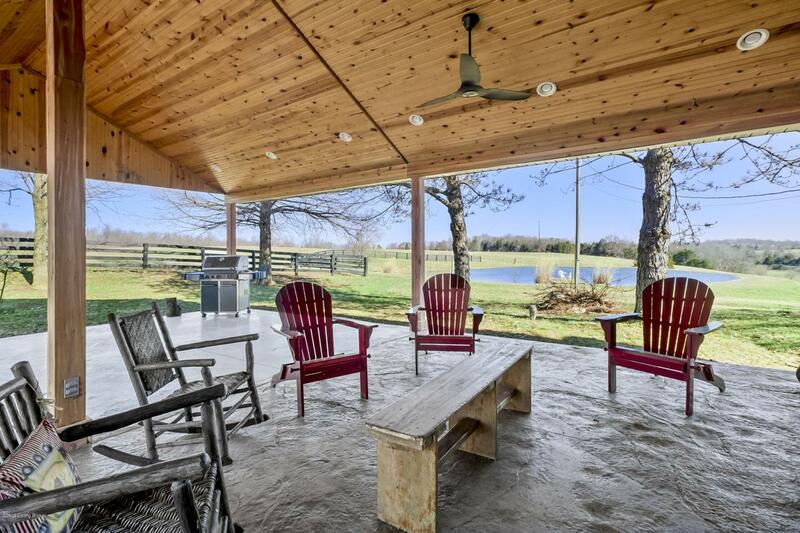 This MINI FARM has so much to offer...Lovely home sitting on 8ACRES w/stocked pond & pier, 3 barns, shop buildings & lean to so, bring your horses!!! Fall in love as soon as you drive up the driveway & see the view & the tastefully covered 23'X32' rear porch that will be the favorite outdoor family gathering place & could easily be screened in! Inside you won't mind cooking in this open kitchen offering lots of cabinetry, quartz countertops, tile backsplash & leads to the open dining area w/windows to let in lots of natural light & enjoy the beautiful views. At the end of the day family can relax in the great room w/beamed ceiling &stone fireplace w/natural wood mantle adding character to the room. Sellers love the wood burning fireplace but, are willing to leave it! The master bedroom offers trey ceiling, walk-in closet & awesome master bath. There's also a bath & a laundry room w/water pump feature & bucket sink keeping w/character flow of this home. Beautiful HW floors throughout the 1st floor. Upstairs you will find 3 more nice sized bedrooms w/great closet space in each one & a full bath. Basement is unfinished walk-out. The outside speaks for its self...Picture everything in full bloom in the spring & nature at its best! Your horses will love living here...24X36 barn w/loft & plenty of grazing & lean to! There's also a 24X50 shop w/220, & a 52X48 metal barn. You'll love afternoon fishing in the pond! Call today for your private showing. Additional acreage available!